Living with the lifelong motto of “Life’s a Journey,” what a journey she had! Ione was born in Curtis, Nebraska on June 15, 1936 to loving parents Clarence “Butch” and Ebba Jensen. At age three, the family moved to California, where Ione would live for the next 80 years. Ione attended Wasco schools and graduated from Wasco High in 1954. Her journey continued to UCLA and Children’s Hospital School of Physical Therapy. After graduating from PT school in 1959, she made the bold move to San Francisco, working not in physical therapy, but in the offices of Pan Am Airlines. In each part of the journey, she made life-long and cherished friendships. Ione married John “Jack” Lollar on April 22, 1961 in the Wasco Methodist Church, where they worshipped and were leaders for more than 50 years. By 1964, they had two children, Laura/ie and Richard, and lived in Wasco. They became very involved in the community and kids' activities. They were founding directors of the Wasco Rose Festival Art and great supporters of the arts and artists. Ione was also an artist, creating beautiful stained glass, weavings, and baskets. Her Chex mix and challah were sought after items at the Methodist Mini-Bazaar. Ione worked part-time, along-side Jack, at their physical therapy office in Shafter. She was always home when the kids got home from school. During these years, the family travelled internationally, visited family in Colorado, Nebraska, and New Mexico, and explored favorite places like San Francisco, Yosemite and Morro Bay/Los Osos. Her favorite journey was a trip to watch the Apollo Soyuz space launch at Cape Canaveral. The Once-a-Year Club, bridge group, and PEO provided many happy couple memories. They moved to Shafter in 1984. Both were devoted volunteer Green Hotel cooks and docents. Ione was also involved in grant writing and producing the newsletter for the Green Hotel. Ione served as President of PEO Chapter JT and celebrated 35 years as a member. She was co-coordinator of the Shafter-Wasco Satellite Branch of AAUW that later became the Brunch Bunch. These were all sources of more cherished friendships. Everything she did, she did with love and attention to detail. Her family was always her priority. As an only child, she was an amazing daughter. In her words, she was a PT and, “Also daughter, wife, mom, grandma, aunt, cousin, friend...each one fun!” She was the documentarian of all our lives. She was never without a camera in hand at the end of a visit to capture the moment. Many wonderful hours were spent around the Lollar dining room table enjoying meals she prepared. After Jack’s death in 2012, Ione was blessed to be surrounded by family and close friends. She kept up her activities and added a Wendy’s Words Little Free Library to her front yard. The family continued the traditional Thanksgiving trip to San Francisco and her grandchildren were her pride and joy until the end. Ione was preceded in death by her parents Clarence and Ebba Jensen, and her husband of 51 years, John “Jack” Lollar. 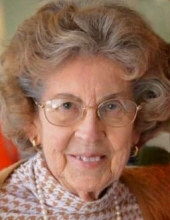 She is survived by daughter Laura Wolfe, her husband Bill, and sons Matthew and Daniel of Shafter; son Richard, his wife Christine (Harris), their children Katie, Gregory, Emily and Isabelle, and their five grandchildren, of Bakersfield. A memorial service to celebrate her life will be held Monday, April 8 at 11 a.m. at the Wasco First United Methodist Church, 1441 7th Street. In lieu of flowers, donations may be made to reach Ione’s lifelong wish of purchasing a Giving Ark from Heifer International, https://fundraise.heifer.org/fundraiser/2005422 or to the Wasco Community Scholarship Association, PO Box 7, Wasco, CA 93280. To send flowers or a remembrance gift to the family of Ione R. Lollar, please visit our Tribute Store. "Email Address" would like to share the life celebration of Ione R. Lollar. Click on the "link" to go to share a favorite memory or leave a condolence message for the family.